McLaren driver Fernando Alonso could be set to pilot a Cadillac DPi-V.R in the 2019 Rolex 24 at Daytona. The Spaniard is allegedly in talks with Wayne Taylor Racing pilot the No. 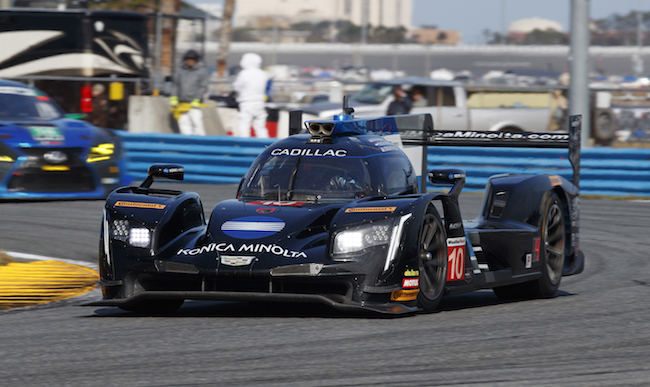 10 DPi-V.R at Daytona. If the team’s driver lineup stays the same as this year, Alonso would join Jordan Taylor and Renger van der Zande in the Prototype class entry. A decision on the matter is expected to be reached sometime this week, so an official announcement should be coming soon. It wouldn’t be the first time WTR fielded a well-known driver for the winter endurance classic. NASCAR star Jeff Gordon joined Jordan Taylor, Ricky Taylor and Max Angelelli for the team’s outright win in 2017 and IndyCar ace Ryan Hunter-Reay co-drove the car in 2018. While not a particularly famous driver, the team also hired on GP2 race winner and former Williams junior Alex Lynn for the 2017 12 Hours of Sebring. 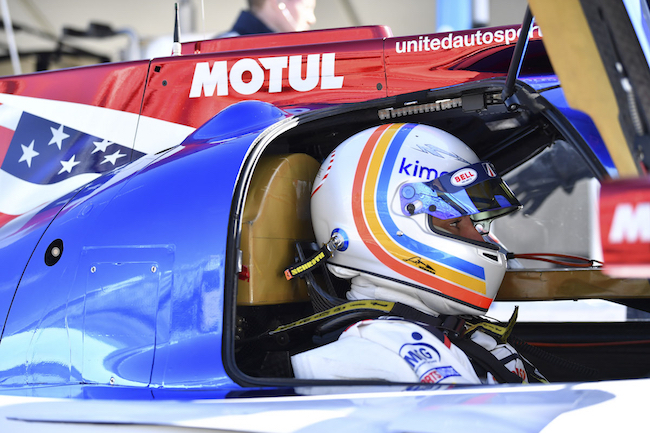 Alonso made his Rolex 24 debut earlier this year with United Autosport, piloting a Ligier JS P217 alongside McLaren protégé Lando Norris and young endurance racer Phil Hanson. He used the race to get used to prototype machinery and multi-class racing ahead of his Le Mans debut in June, which saw him take the overall win alongside Toyota teammates Kazuki Nakajima and Sébastien Buemi. Alonso is taking a sabbatical from F1 next year to focus on the Indy 500 and his Toyota WEC role. It’s unclear if he will return to the F1 grid in 2020, but the decision likely hinges on multiple factors, including McLaren’s competitiveness. The two-time F1 world champion made 313 Grand Prix starts over 17 race seasons and has 32 race wins to his name. The Cadillac DPi-V.R may not be the only piece of General Motors machinery Alonso will pilot this year. He’s set to race in the 103rd running of the Indianapolis 500 with McLaren and rumors now indicate he will be running a Chevrolet engine in the event. McLaren partnered with Honda team Andretti Autosport to field Alonso in the Indy 500 in 2017, but the team has yet to release official program details for 2019.